Toddler Approved! 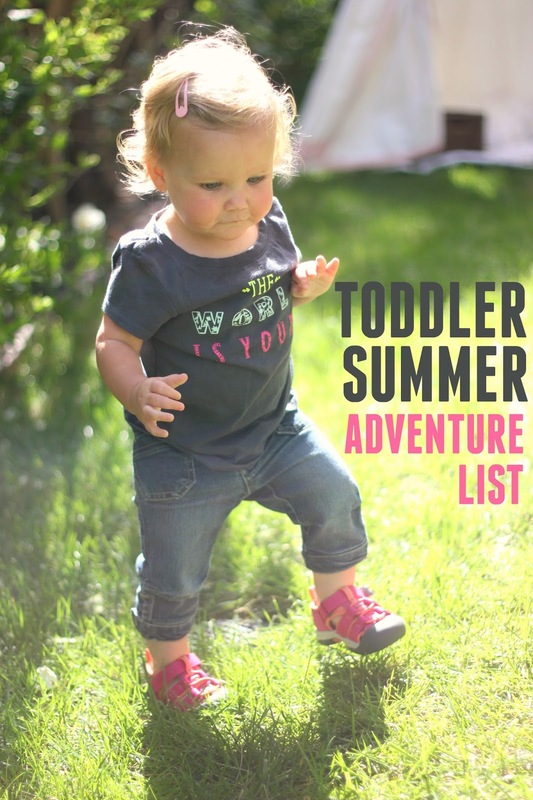 : Todder Summer Adventure List with KEEN Kids! Todder Summer Adventure List with KEEN Kids! Summer is a time to relax, play, and get outside! I love to make a summer adventure (or bucket) list each year and then check off each activity as we do it. Last year we had a big poster hanging in our family room to help us stay excited all summer long! Some of our adventures include big road trips and amusement park fun. Most of our adventures stick more close to home and only require a few materials. 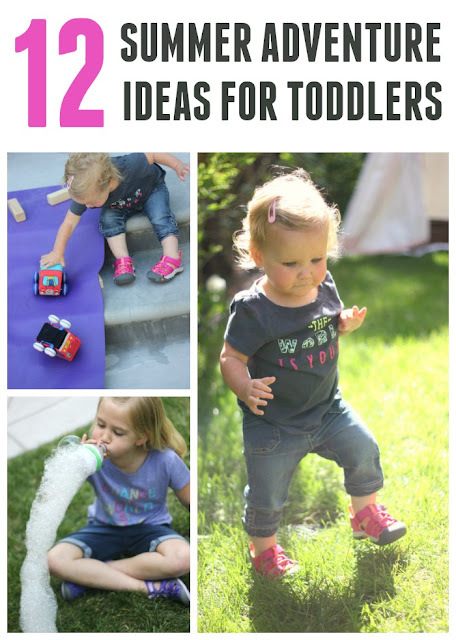 Today I am partnering with KEEN to share 12 of our favorite summer adventure ideas for toddlers. Some are old favorites and some are new-to-us activities! They are perfect to add into your summer schedule! Keen shoes are so comfortable and easy to use in the water, dirt, or rain depending on the weather and where we are playing! We love them for all of our summer adventures! We're hosting an amazing KEEN kids giveaway, so make sure to scroll down! Bubble snakes are one of our favorite summer things to make! 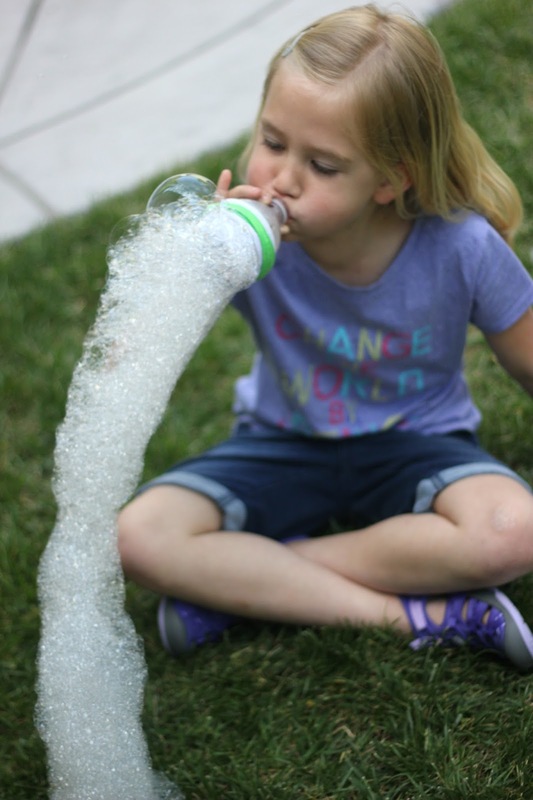 The bubbles keep toddlers entertained and offer a fun sensory experience too! My big kids usually blow the bubbles with the bubble snakes and then my toddler plays with the bubbles! 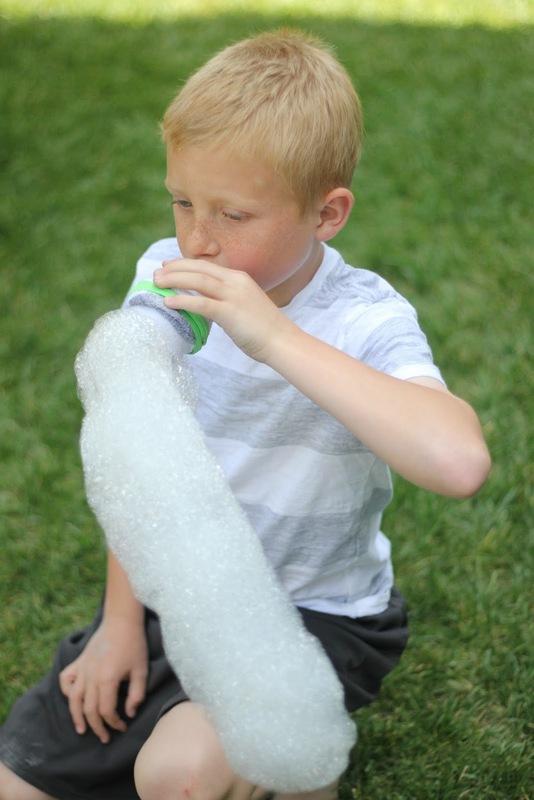 To make bubble snakes all you need is dish soap, a water bottle, a sock, a rubber band, and a little water. Housing a Forest taught us how to make bubble snakes and they have the best bubble snake tutorial! Pop over for their instructions and then scroll down to see what we do once we have all the bubbles!! Whether your kids like soccer, hockey, or the high jump, a toddler olympics is sure to be a crowd pleaser. We like to pick a week each summer and do a different event each day. Some of our favorites include pool noodle hockey and pool noodle basketball! Beach trips (or even just trips to the sand pit if you don't live near a beach) can be an awesome and fun sensory experience for toddlers. We always make sure to bring our sand toys, water bottles for pouring water,, and a lot of sunblock! Each Sunday during the summer we try and go on a family hike. I love playing I-Spy when kids start to get tired. We also try varying it up by hunting for litter. It is so funny to see how much faster my kids move when we are hunting for something. 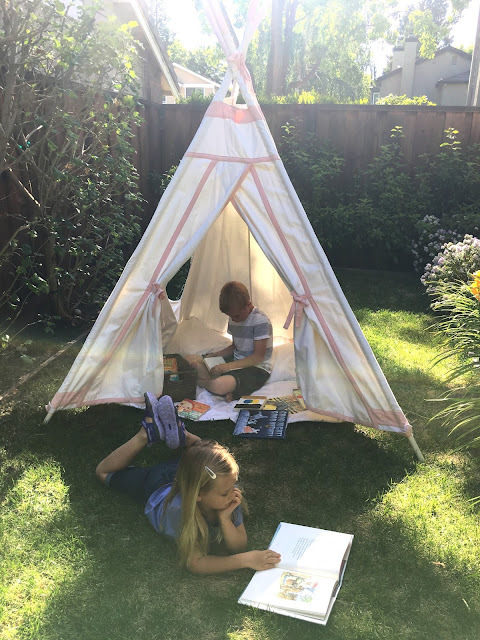 Adding a tent or teepee and pillows to our backyard makes reading extra fun when we have nice weather! To host a backyard read-a-thon I have all of the kids bring a pillow and some favorite books to the backyard. Then we just snuggle in and read together and enjoy being outside in the gorgeous weather. My toddler loves to stomp on the pillows and peer out the windows too. My kids love to grab pieces of cardboard and yoga mats (LOL) to build outdoor car ramps. 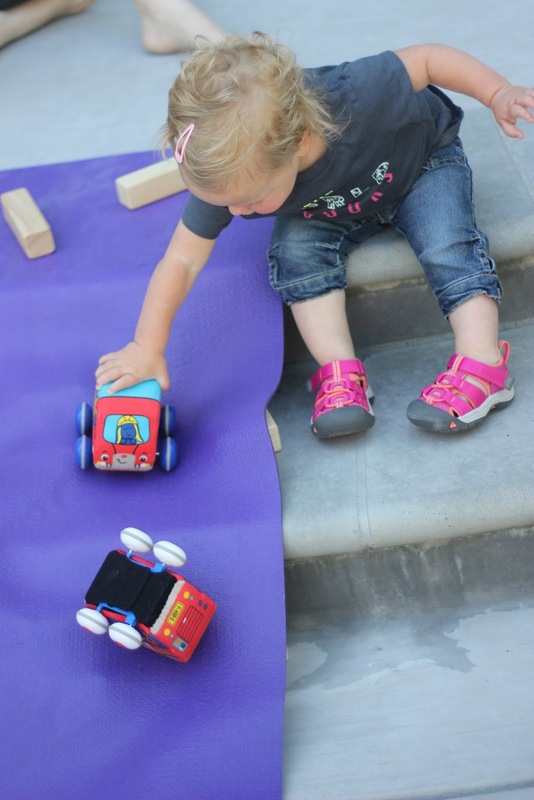 The ramps are usually bumpy but the kids love problem-solving and trying to find the best (and fastest) way for the cars to go down the ramps. My kids love adding block buildings to their yoga mat communities too! We made ice boats last summer and it was such a hit, so we'll be trying them again this year. You can find our full ice boat tutorial here. We have a printable color scavenger hunt that is great to shove into your pocket while you are hiking or just outside exploring nature. The color scavenger hunt sends kids searching for plants and objects that are different colors/styes. To paint with bubbles you first need to try out the bubble snake! Once you've blown enough snakes, separate them from the bottle/sock and they will start floating around. My kids liked to fight over the bubbles until they landed on the ground or soared into trees. 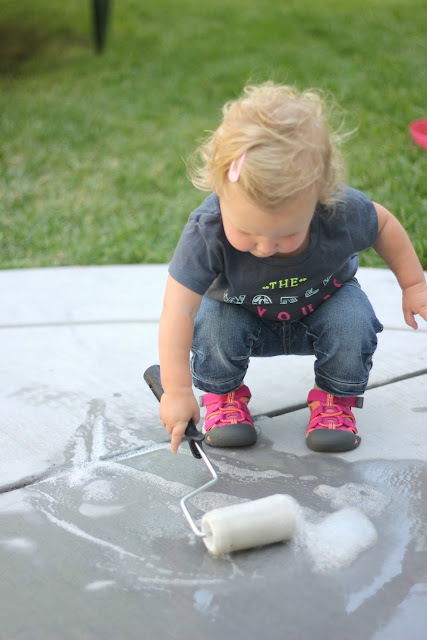 Once the bubbles are fluffy, we like to grab a paint roller and paint the ground using the bubbles! It is fun to roll over them and smash them. Our trampoline is the most popular toy at our house... so a trampoline ball bit made it even more popular! We grabbed some ball pit balls and threw them all over the trampoline... with the rules that there is NO JUMPING. Just crawling, walking, kicking, and gently throwing was enough! The kids had a blast! Grab some chalk, decorate the ground with chalk flowers, and then grab your watering can and start watering your chalk garden! We love to add alphabet letters to our flowers to sneak in a little learning. Lastly, we love splash pads! We make a list of all of the local splash pads each summer and then we rotate where we go each week. Splash pads are a fun way to teach kids about cause and effect. My only challenge with them is avoiding getting completely soaked myself while I run after my toddler! On hot days, splash pads are a lifesaver... especially with toddlers that can't swim or that are afraid of the big pool. DO YOU HAVE ANY OTHER FAVORITE SUMMER IDEAS WE SHOULD TRY? CHECK OUT THESE ADDITIONAL SUMMER IDEAS! Visit our friends The Chirping Moms for 10 fun reasons KEEN Kids are great for summer time! KEEN Kids styles are also great for travel. Check out Wanderlust Crew, Global Munchkins and Sarah Tucker for why they choose the shoes for travel. KEEN Kids are awesome for summer camp. See why I Love You More Than Carrots, Hello Happiness & The Vanilla Tulip will be using them this summer. They're also perfect for toddlers! We love them!! 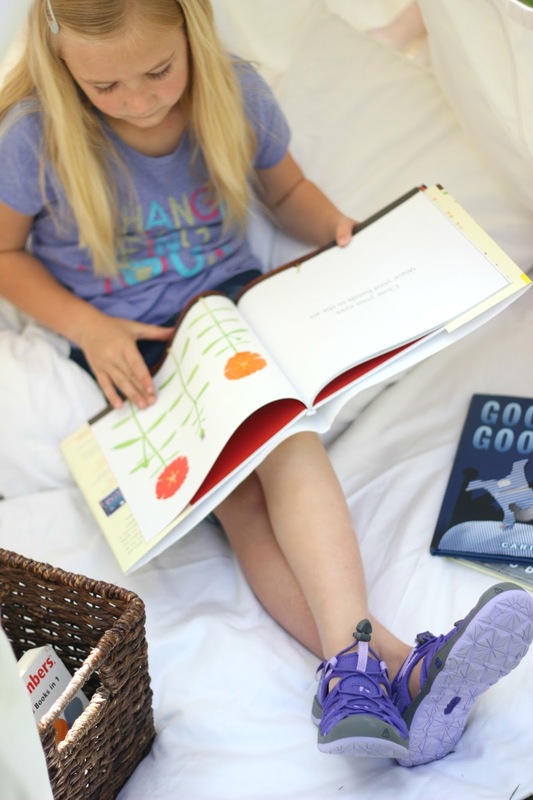 Check out how The Girl in the Red Shoes is keeping toddlers busy and active in the KEEN Kids shoes. The KEEN Moxie styles are fashionable and functional, check out how Seven Graces Blog is styling them this summer. If you have a favorite pair of Keen shoes, I'd love to hear about it! Disclosure: This post and giveaway is sponsored by KEEN. All opinions shared in this post are mine. We love KEEN shoes, too! And would love the next size up for my toddler! Can't wait for summer and try some of these activities as well as the summer camps, vacations, pool days etc we have planned! Summer really isn't very different here, as I have a 16 month old and my college aged kids both left college and moved into my 2 bedroom apt. :/ I will probably be doing some of these fun idea with my son just to get out of the house. Great ideas! Keen shoes have made some of our adventures easier! Looking forward to more relaxed days with my kids during the summer. We have some fun things planned-zoo, botanical gardens, library, swimming pool, and learning activities. I'm happy NOT to be driving our mini van school year taxi service! 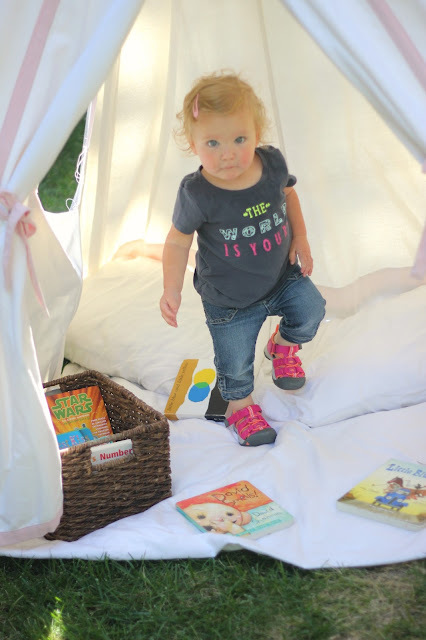 I love hanging out with my toddler in our backyard, but my problem is all the bugs! Between the gnats and the mosquitoes, it makes being outside much less fun. I'm not sure where you live, but any tips for bug control so that we can actually read and hang outdoors more? We're looking forward to spending lots of time outdoors!